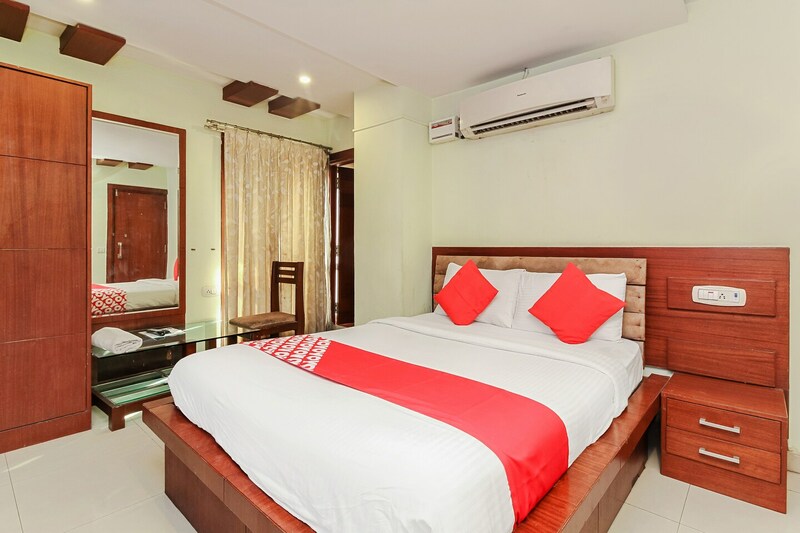 Hotel Madhura Inn is an ideal stay for business and leisure travelers alike. Tastefully furnished rooms with wooden interiors combined with modern design are crafted to provide ultimate comfort and tranquility to the modern traveler. Enjoy facilities like free W-Fi and TV to remain up-to-date with the latest happenings around you and the world. Power backup ensures that your comfortable stay remains uninterrupted. Relish some fine delicacies at 13 Dhaba, Udipis Upahar or Dusk 2 Dawn and many more that are located at a very short distance from the hotel.